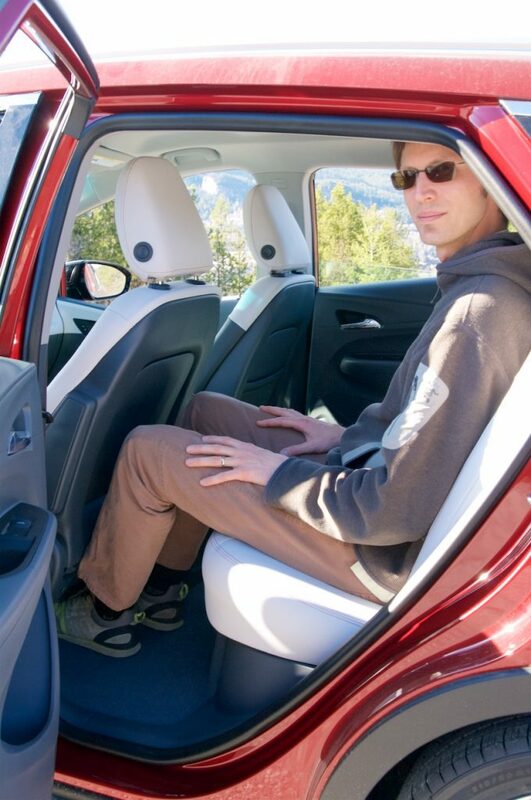 Leg room is great for a car of this size, and even surprising! This is with the front seat set to where I would drive (I’m 6’1″). I still had a few inches head room as well (hard to tell from the photo angle). Leg room is great for a car of this size, and even surprising! This is with the front seat set to where I would drive (I’m 6’1″). I still had a few inches head room as well (hard to tell from the angle.